In a move that is poised to give a major boost to Bitcoin, Microsoft has adopted the currency as a means for customers to pay for its digital goods / services bought online. 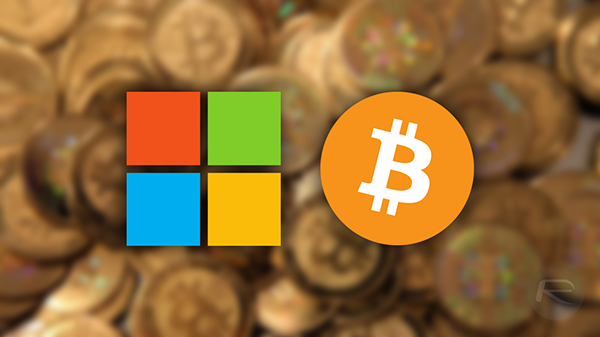 Microsoft has been mixing up its strategy for some time now, and adding Bitcoin as a payment option is another surprising move from the software giant. To make this happen, Microsoft is working with Bitpay, a Georgian company which has been processing Bitcoin for a while now. The addition of Microsoft to this system will really provide Bitcoin the stimulus to gain further traction with consumers that are looking to purchase services online. To touch upon how significantly huge this is for the currency, Microsoft just generated revenue of around $86 billion this year. 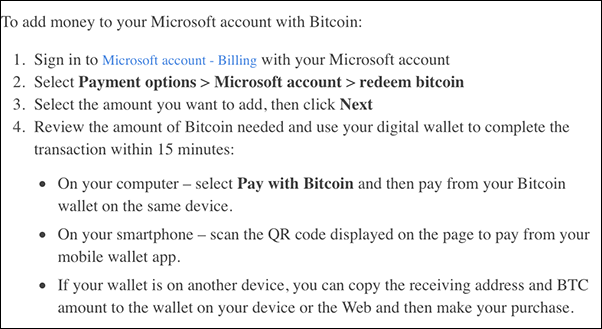 Going by the ‘Payment options’ page on Microsoft’s own site, it will instantly dawn upon you that the company is not allowing a seamless integration of Bitcoin into its payment system just yet. Users will be able to add Bitcoins to their account and then proceed to purchase what they want, so there is no direct payment method involved for now. Breaking it down further, users are restricted to adding a maximum of $100 worth of Bitcoins in their account, and the amount added cannot be refunded either. Interestingly, Microsoft is also restricting users to purchasing digital content only via this payment method, so if you were looking at getting yourself an Xbox One accessory or something similar this Christmas, you’re going to have to do it the good ol’ fashioned way. As Microsoft puts it, “You can only use Bitcoin to add money to your Microsoft account and then purchase digital goods at select Microsoft online stores.” Hopefully this is a start of things to come, and Microsoft could move onto the direct payment method using Bitcoin, but for now, you can’t complain either way. Microsoft is not the first big company to have joined hands with Bitcoin, with Dell and PayPal already involved with accepting the cryptocurrency as modes of payment. However, Amazon, the e-commerce giant, continues to be a skeptic of this currency, and has no plans of adopting it any time soon in the near future. What’s your take on this currency which is gaining more and more traction with Internet users? You think this move from Microsoft will further add to the appeal of Bitcoin? Do share your opinions with us.